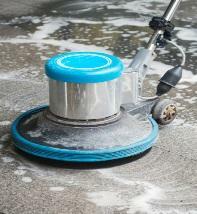 Sydney Tile Restoration is a premium provider of tile cleaning services. We aim to provide the highest level of service for our clients Australia wide. Below is our Terms and Conditions which includes our Complaints Policy. We advise all our prospective clients to become familiar with these before they book our services. Sydney Tile Restoration reserves the right to make any changes to any part of these terms and conditions without notice and by publishing to our website. By ordering any Sydney Tile Restoration services whether by telephone, e-mail, fax, through its website, app or by any other digital request the Client is deemed to have read and be bound by theseTerms and Conditions. All services discussed, quoted, actioned by Client, or disputed are to be considered as general advice only, and any future damages, liabilities, loss and/or injuries are not considered to be the liability of Sydney Tile Restoration. Sydney Tile Restoration is not an advisory service. Sydney Tile Restoration reserves the right to amend the initial quotation should the Client’s original requirements change. Differences in excess of 10% of the initial quote value will be discussed with the Client prior to the start of the work. If Sydney Tile Restoration technicians need to collect keys from a third party address outside the postal code of the premises where work is to be carried out, a $20.00 charge may be added to the price of the service. Sydney Tile Restoration will not collect keys from a third party location if the third party location is more than 30 minutes' drive from the job location. If any sealing services are requested, a minimum 4-hour period must be allowed before any physical contact can be made with the sealed areas. Sealer can take up to 24 hours to fully cure, meaning that the areas sealed must not get wet until at least 24 hours after job completion. Any disturbance within this period made by the Client or any third party is not the liability of Sydney Tile Restoration. If the Client or any third party has damaged the sealed area by any means, Sydney Tile Restoration is not liable for the repairs to the sealed area. a. 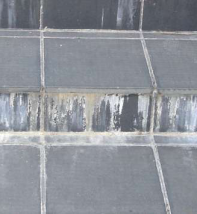 Where sealed areas are in jeopardy of the full curing time being completed without interference, it is at the discretion of Sydney Tile Restoration to amend said service date(s) and/or time(s) to prevent this occurring. b. Where a sealer has been inappropriately applied by Sydney Tile Restoration technicians, we will arrange the removal of the sealer where possible before applying the most appropriate sealer. This can incur a reduced service fee where applicable. If water extraction is required due to flooding, an extra 30% charge will be added to the service price. Any charges, e.g. metro congestion charges, road tolls and/or parking will be added to the Client’s invoice unless a prior agreement has been made. If the Clients premises are above the third floor of a building and there is no lift access, an additional charge of $10 will apply for all or part thereof each $100.00 (rounded up to the nearest hundred) increment of the service fee. e.g. Total service fee $550.00 + GST, will incur an additional $60.00 + GST Access Charge. d.	These may trigger the full amount of booked services payable to Sydney Tile Restoration. Payments are to be made by Visa, MasterCard, EFT (Electronic Funds Transfer), cash or company cheque ONLY. American Express is not accepted. Sydney Tile Restoration does not share Client credit card information with any third party. Private and/or Residential contracted services require payment or receipt of payment immediately upon completion. Commercial and/or Third Party contracted services require payment or receipt of payment immediately upon completion. Private and/or Residential contracted services over $2,000.00 require a deposit payment of 50% of the quoted service fee prior to services commencing. 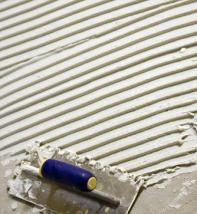 The balance is to be paid upon the services having being deemed completed by Sydney Tile Restoration. Commercial and/or Third Party contracted services over $1,000.00 require a deposit payment of 50% of the quoted service amount prior to services commencing. The balance is to be paid within 3 business days upon the services having being deemed completed by Sydney Tile Restoration. For all services contracted by an individual or company deemed by Sydney Tile Restoration to be acting for, or on behalf of, a Real Estate Agent, Builder, Construction Company, Cleaning Company, Tiler and/or service related works, we require an approved work order or written confirmation from said agent to be submitted in writing via email or SMS to Sydney Tile Restoration and a 50% deposit payment of the quoted service fee prior to services commencing. The balance is to be paid within five (5) business days upon the services having being deemed completed by Sydney Tile Restoration. For all bookings contracted by clients or third parties deemed to be of a Strata Plan arrangement/structure, a 50% deposit payment of the quoted service fee prior to services commencing. The balance is to be paid within 5 business days upon the services having being deemed completed by Sydney Tile Restoration. Sydney Tile Restoration will never share any credit card or payment details with a third party. The Client’s agrees and authorises Sydney Tile Restoration to charge any outstanding amount owed to with regards to the services provided including parking and/or traffic congestion charges fees (if any), and up to the total amount of the booked services to the debit/credit card the Client has provided. Client understands that any 'late payments' may be subject to additional charges deemed applicable by Sydney Tile Restoration. If payment has not been received after ninety (90) days following the service being completed, the outstanding invoice will be passed to a collections agency and/or the appropriate government body, with an additional charge of 20% added to the current outstanding balance. The Client agrees as part of this contract to pay this sum, which represents our reasonable costs in collecting the unpaid amounts. All payments are to be in Australian dollars. Sydney Tile Restoration aims to provide the highest level of customer service to our clients and as part of this approach the handling of complaints and queries is conducted in a timely and procedural manner. Our goal is to investigate and resolve complaints as quickly as possible by taking into account all parties input, and pro-actively seeking resolution of any issues as a matter of priority. We aim to investigate and resolve complaints in a prompt and as equitable manner as possible, with the objective of promoting a positive outcome for our customers and ultimately, ensure our customers are happy and will want to use our services in the future. Sydney Tile Restoration Complaints Policy and Complaints Procedure form part of our Terms and Conditions. Please make sure you are familiar with our them before you make a complaint as sometimes there are issues beyond our control and/or may not covered. Below is our Complaints Policy which sets out conditions of service, scope of responsibility for both ourselves and our clients, and the complaints procedure. We encourage our clients to read and make themselves familiar with these before they book our services. By booking our Services we deem clients to have read and accepted our Complaints Policy which forms part of the Terms and Conditions. All complaints must be sent via email to complaints@tilecleaners.com.au requesting a reply or suggested resolution. Because of record keeping requirements and the need for accuracy, your complaint must be in writing. We cannot accept your complaint by telephone. Client accepts and understands that poor service, breakage/damage or theft must be reported within 24 hours from completion of the job. Failure to do so will entitle customer to no refunds or recovery cleanings. Sydney Tile Restoration requires the presence of the Client or his/hers representative in the beginning and at the end of the cleaning session so an inspection can be carried out and if any corrections are needed, should be made on the same day. If a Client is not completely satisfied with the cleaning services, Sydney Tile Restoration will re-clean any areas and item/s before the completion of the service on the same day. If the Client has scheduled an inventory check then it must be scheduled to commence no later than 24 hours after the cleaning job has been done. Sydney Tile Restoration may take up to 5 working days to respond to a complaint. However we always try to fix the problem ASAP. Sydney Tile Restoration will not accept a complaint based on an Inventory check report, filed more than 24-hour after the job completion session. Complaints are accepted in writing only (letter, e mail or Fax). Complaints must be reported on completion or in the following 24-hour. We cannot accept your complaint via telephone. All fragile and highly breakable items must be secured or removed. Items excluded from liability are: cash, jewellery, items of sentimental value, art and antiques. 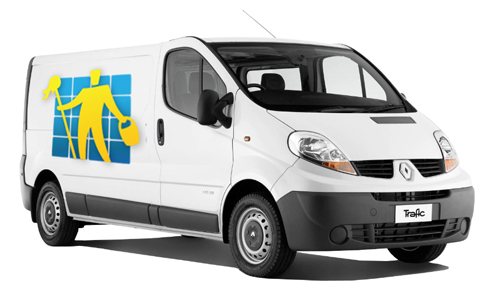 Key replacement/locksmith fees are paid only if the keys are lost by our operatives. There is a $30 per household liability limit. Client should appreciate that tiles often will not have a consistent appearance after cleaning by reason of differences in wear and tear. 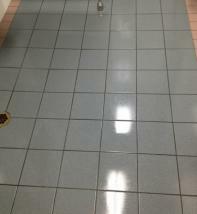 Sunlight will sometimes cause fading in areas of the tiles and cleaning can not rectify this. 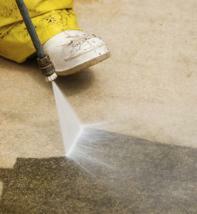 Stains are not always visible before dirt is removed and it may not be possible to remove those stains completely. 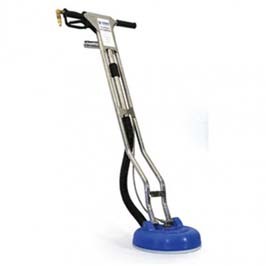 Sydney Tile Restoration will use its best efforts to provide a good result but Clients are asked to be aware of these limitations which are common to all tile cleaning operations. In case of damage Sydney Tile Restoration will try to repair the item/s if it agrees that it caused the damage. If the item/s cannot be repaired Sydney Tile Restoration will rectify the problem through its insurance company by crediting the Client with the item/s if it is proven to be by our personnel. Sydney Tile Restoration technicians may need to revisit the job site to file a report to the insurance company. All jobs must be fully paid before any repairs or claims can be made through the company. Sydney Tile Restoration reserves the right not to be responsible for: delay for a visit due to a traffic congestion, postponed service due to broken equipment, job not complete due to lack of water or power and suitable materials and/or equipment in full working order provided by the Client, third party entering or present at Client’s premises obstructing the job process, accidental damages worth up to $100 or less. 48 hour limit: Client accepts and understands that poor service, breakage/damage and/or theft must be reported within 48 hours from completion of the job. Failure to report within 48 hours will not entitle Client to any refunds or recovery cleaning. Sydney Tile Restoration requires the presence of the client or their representative at the beginning, and at the end of the cleaning session, so an inspection can be carried out, and if any corrections are needed should be made on the same day. If a Client is not completely satisfied with the cleaning services, Sydney Tile Restoration will re-clean any areas and item/s before the completion of the service on the same day. All fragile and breakable items must be secured or removed. Items excluded from liability are: cash, jewellery, items of sentimental value, art and antiques. If the Client has scheduled a site inspection,then it must be scheduled to commence no later than 48 hours after the job has been done. Sydney Tile Restoration will not accept a complaint based on a site inspection report, filed more than 48 hours after the job has been completed. Key replacement/locksmith fees are paid only if the keys are lost by our technician(s) with a liability limit of $30 per household. v.	Dates available for possible rectification. Complaints must be reported on job completion, or within the following 48 hour period. Complaints cannot be accepted via telephone (due to record keeping requirements and the need for accuracy). Sydney Tile Restoration will send an acknowledgement email to clients upon receipt of your complaint within 24 hours. If you do not receive an acknowledgement email please resend your complaint including all relevant details and pictures. After you receive an acknowledgement email it may take up to 5 working days to conduct an investigation, and respond in detail, however we will endeavour to fix the problem as soon as possible. 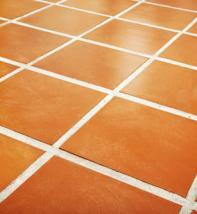 a.	Tiles often will not have a consistent appearance after cleaning by reason of differences in wear and tear. 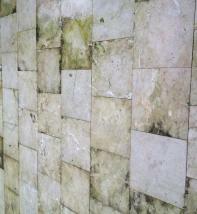 b.	Sunlight may cause fading in areas of the tiles which cleaning will not rectify. 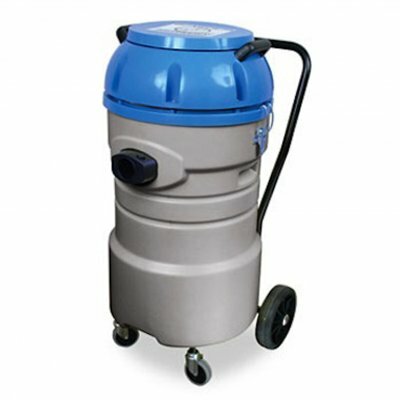 c.	Stains are not always visible before dirt is removed and it may not be possible to remove those stains completely. 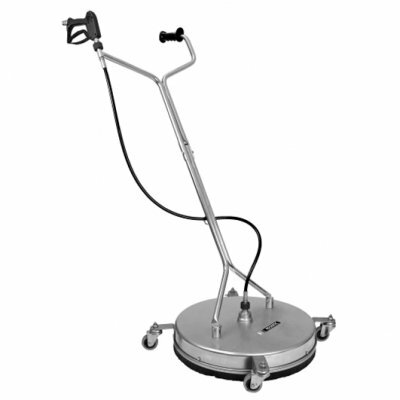 d.	Any pre-existing scratches or scrapes will not be removed by cleaning alone, as these will require stonemasonry services such as polishing or honing which we can provide for an additional fee. Damage: In the event of damage being caused by Sydney Tile Restoration we will try to repair the item/s. If the item/s cannot be repaired Sydney Tile Restoration will rectify the problem through its insurance company by crediting the Client with the item/s value if it is proven to be by our technician(s). Sydney Tile Restoration technicians may need to revisit the job site to file a report to the insurance company. All jobs must be fully paid before any repairs or claims can be made. Sydney Tile Restoration accepts no responsibility for delays for a visit due to traffic congestion, postponed service due to broken equipment, job not completed due to lack of water and/or power, and suitable materials and/or equipment not in full working order as provided by the Client, a third party entering or present at Client’s premises obstructing the job process, and/or accidental damages up to the value of $100. We greatly value our customers feedback and encourage clients to submit as much detail, information, pictures and suggestions as practical when filing a complaint – this helps us to work towards a mutually successful resolution of the complaint which is in the best interests of all. Below is our complaint handling procedure which we follow for all complaints. By following this procedure you will be helping us to provide a quick and effective resolution of your complaint or query. b. We are unable to accept your complaint by telephone (due to record keeping requirements and the need for accuracy). e.	Dates available for possible rectification. We will then review the job details in our system including all aspects of the original and updated job description, area, pricing, materials, access, timing, locations and any other relevant information. We will contact the technician and discuss the matter. We will contact the client and discuss the initial findings. Based on the outcome of these discussions we will propose a mutually acceptable method of how this complaint is to be resolved. This will usually involve rectification of the works. c.	Rectification by a non-Sydney Tile Restoration (third-party) technician. Our objective is to resolve the vast majority of complaints as soon as possible, once the complaint has been lodged. We appreciate your patience and co-operation during this process. Sometimes we may not be able to contact the technician immediately as they may be on a job, they may be out of range or may just very busy, however once the complaint is registered it will be followed up and resolution attempted. If you have not heard from us after 24-48 hours please email us at complaints@tilecleaners.com.au or call for a status update on your complaint. Please be patient once this complaints process has started. Our ultimate goal is to resolve all complaints to the satisfaction of all parties as quickly and efficiently as possible. Our Complaints Policy and Complaints Procedure forms a part of our Terms and Conditions. Please make sure you are familiar with our Terms and Conditions before you make a complaint as sometimes there are issues beyond our control and/or may not covered. Sydney Tile Restoration has a Public and Employer’s liability insurance. 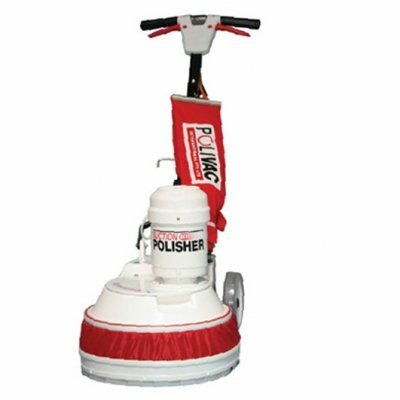 The policy will cover any accidental damages caused by a Sydney Tile Restorationtechnician reported within 24 hours of service date. Insurance cover does not include any item(s) that may break down or stop working at any time such as: dishwasher, washing machine, oven, cookers, extractor fans, fridge, freezer, or other appliances; any other items, instability of which the Client is already aware of, such as bathroom appliances or any associated fixtures or furnishings. The Client is obliged to warn Sydney Tile Restoration or our technician about appliances that have been poorly fixed or are not in full working order. Sydney Tile Restoration reserves the right to refuse to share any confidential internal company documents, information or other data. Client understands that they are not entitled to any refunds. If the Client is not satisfied with the service provided and a complaint has been placed in the stated 24 hours after the job has been completed, Sydney Tile Restoration reserves the right to return a technician and re-do any areas and items that are not up to standard. In order to complete this task Client must allow the technician to return and Client should be at present at all times during the return visit. 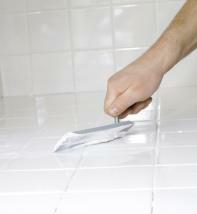 Sydney Tile Restoration reserves the right to return a technician any number of times at their discretion. Client may cancel the scheduled cleaning job up to forty-eight (48) hours prior to the scheduled appointment. Client agrees to pay $60.00 + GST as a cancellation fee if he/she cancels or changes the date and/or time within forty-eight (48)hours prior to the scheduled appointment. Clients agrees to pay $60.00 + GST as a cancellation fee in the event of a lock-out resulting in our technicians being turned away; no one available at the premises to provide access; no water and/or power available at Client’s premises or problems with Clients keys and or locks, or other methods of access. If keys or access codes are provided they must open the lock without any special efforts or skills. If an initial deposit has been paid to Sydney Tile Restoration then Client agrees that deposit funds may be used to cover the cancellation fee. By entering into a service agreement with Sydney Tile Restoration, the Client agrees that after the termination of the service they will not hire or use any services provided by a present or past technician introduced to the Client by Sydney Tile Restoration. If the Client wishes to hire or use the services provided by such a technician then they must pay a referral fee of $6,000.00. The relevant Australian law shall govern these terms and conditions, and by agreeing to be bound by them the customer agrees to submit to the exclusive jurisdiction of the relevant courts of Australia. Sydney Tile Restoration reserves the right to make any changes to any part of these terms and conditions without prior notice.